1. 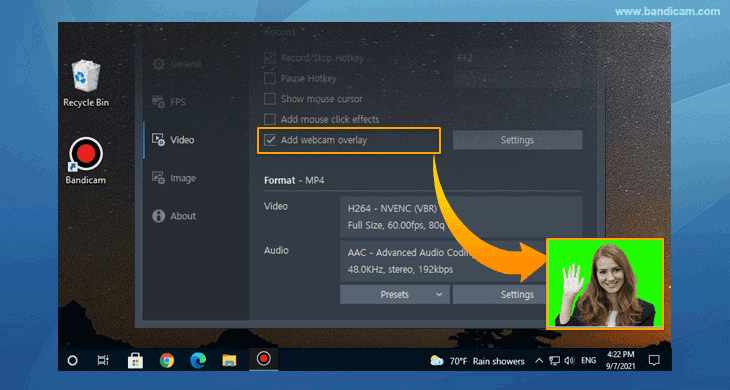 The webcam preview function is now available in Screen Recording Mode. 2. 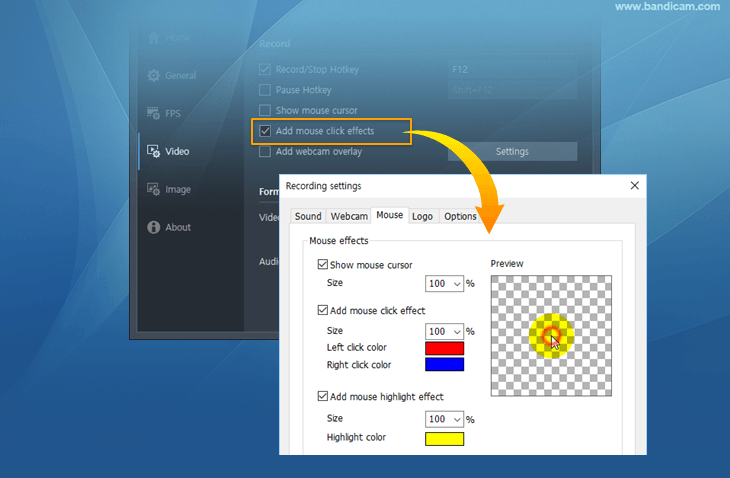 The webcam preview function is now available in Device Recording Mode. 3. Added support for resizing the mouse cursor, the mouse click effect and the mouse highlight effect. - The recorded video was garbled when the 'Prefer RGB colorspace' option was used for the External codec. - The 'Run Bandicam on Windows startup' option didn't work in Non-Admin mode of Bandicam (bdcam_nonadmin.exe).